Basketball was on the minds of many as several courts were set up in Yonge-Dundas Square as part of the Toronto NBA Jam Session which runs from Saturday August 27 to Sunday August 28, 2011 as part of a cross Canada tour. 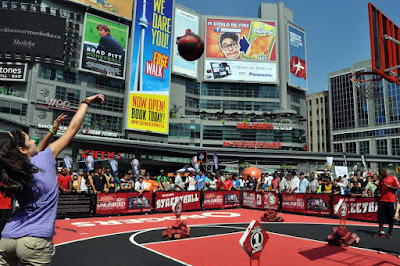 Games of skill and fun were taking part in the square across from the Eaton Centre. 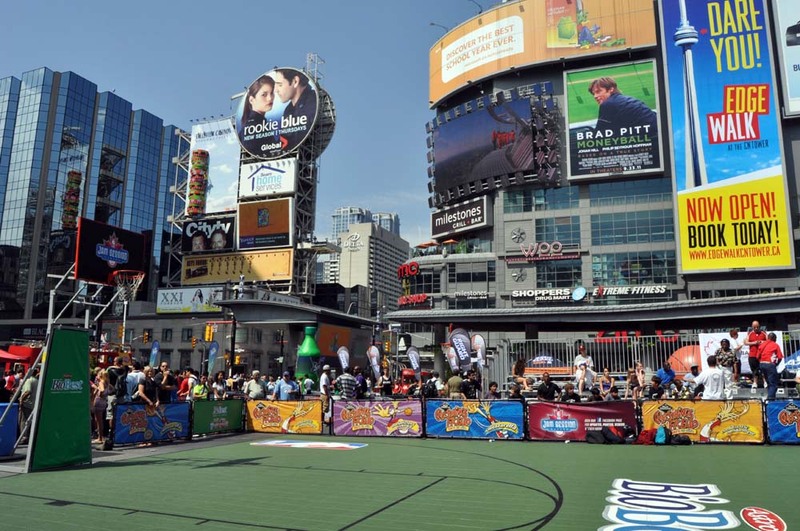 There will also be NBA three on three tournaments on Sunday. 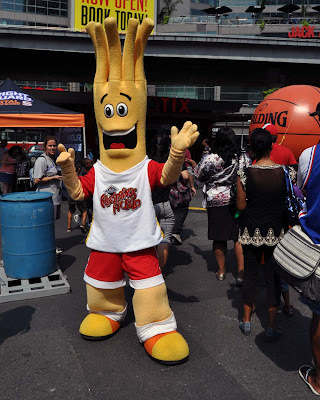 The Black Diamond Cheestrings mascot. 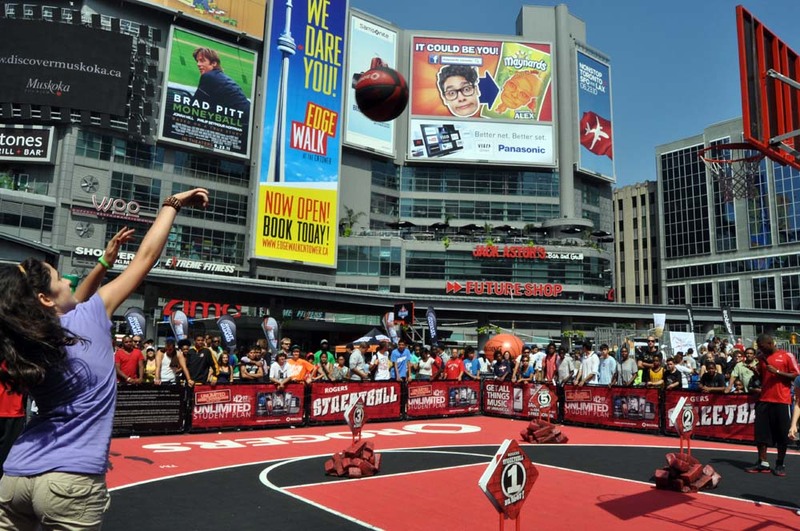 We were also treated to a dance demonstration by Raptors cheerleaders the Dance Pak. See more cheerleaders after the jump.